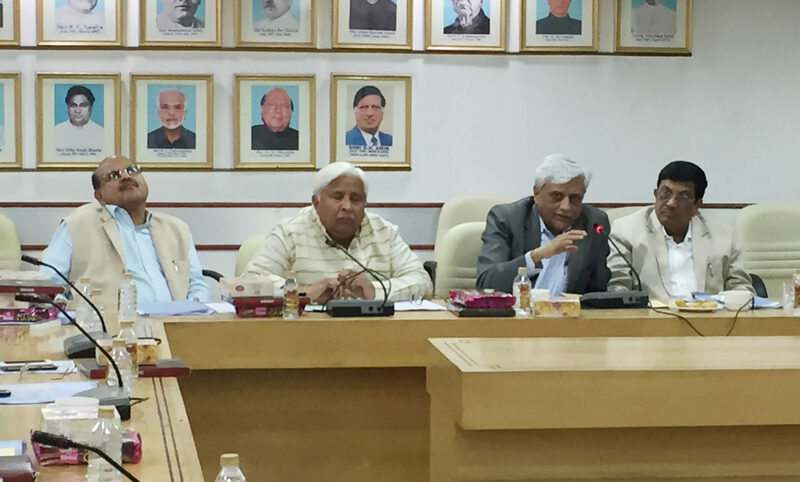 As expected, the date for the election of new Board members of the apex body of UCBs-National Federation of Urban Cooperative Banks and Credit Societies (NAFCUB) has been announced in the board meeting held on Monday at the NCUI board room in Delhi. The voting would take place on 3rd February 2019, the Board decided unanimously. Agriculture Ministry’s ex-official Mr Om Prakash has been named returning officer to oversee the process involved-nominations, withdrawal and voting, if required. Mr Om Prakash who was present on the occasion said to Indian Cooperative, “I would announce the election schedule in a couple of days”. The NAFCUB board comprises of nearly 23 members, out of which nineteen (19) directors will be elected. State federations have 9 seats while urban cooperative banks have 7 seats. Credit societies have been accorded 2 seats. There is just one government nominee. The federation is registered under the Multi State Cooperative Societies Act with the Central Registrar of Cooperative Societies. According to NAFCUB about 1800 societies are members of NAFCUB which are expected to participate in this election. Majority of Board members of the outgoing Board, Indian Cooperative talked to, are willing to contest in the ensuing elections. But they were cautious and said “ We can let you know only when own bank’s board decides. The tenure of term will be of five years. Currently Mehta is the President while R B Sahandilya and Vidyadhar Anaskar are the two Vice-Presidents. Mehta who won a protracted legal fight with Mukund Abhyankar had just a few months left when the elections have come knocking. NAFCUB has been mired in controversies in the tenure of its last board and failed to deliver results leading to disappointment among smaller UCBs and credit co-ops which look up to it as their protective umbrella. It bears recall that Mukund Abhyankar who was elected President was removed midway when, as a member of Malegam Committee he advocated conversion of ucbs into commercial banks. This move by Abhyankar angered majority of Board members who removed him by passing a resolution. Jyotindra Mehta was elected President but he could not function as Abhayankar went to the court. Mehta was reinstated by the court after two and half years, thereby giving little time to his team to bring the NAFCUB house in order. 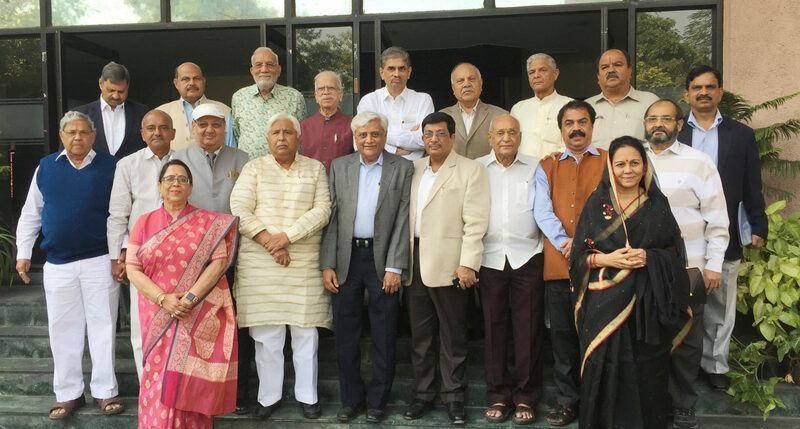 NAFCUB Board have had several eminent personalities as its office bearers in the past such as Smt. Pratibha Devisingh Patil, former President of India, former Union Minister of Minority Affairs Shri Rahman Khan, H.K. Patil, former Minister of Rural Development and Panchayat Raj, Government of Karnataka, Former Deputy Chief Minister Gujarat, Late Shri Atmarambhai Patel, Union Minister Shri Suresh Prabhu, Former Minister of State for Finance Late Dr. S.S. Sisodia, among others.